A small tame bear. 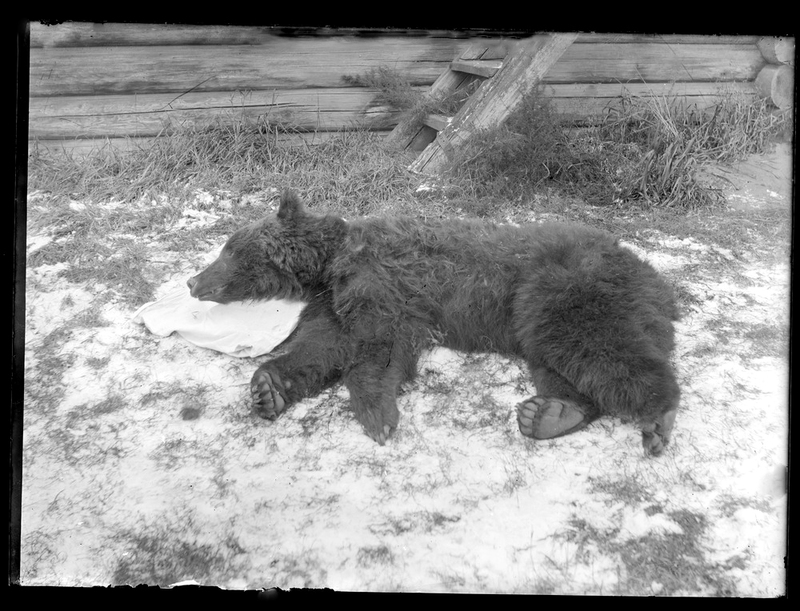 There was no domestic reason to keep bears. When a small bear grows up with people it can be not a threat. But a grown-up 300 kg brown bear is dangerous and aggressive. A camel and a tame bear in 20th century Siberia.